The high value symbols are generally from Greek mythology and include Medusa, the Minotaur, the Nemean lion and Aetos Deus (the eagle of Zeus); J, Q, K and A represent the lower values and there’s a Greek feel to their design. 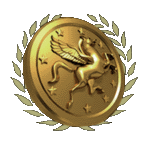 The wild symbol is a white horse which will substitute for all others to form winning combos except for the Free Spins and golden bonus symbols. This occurs each time a wild symbol appears on the reels in the base game and the free spins; you will receive a free respin and the wild will move one down one position – this process continues until all wilds have dropped off the bottom of the reels. If a wild symbol lands behind one of those falling wilds the Wild On Wild Featureis activated; all positions on that reel become wild for one spin and on the next spin two wilds will appear to extend the original feature. During this round any wild symbol landing will expand to cover all positions on that reel; it’s not possible to trigger and more spins from inside this feature. This is the chance to win the progressive jackpot and it’s triggered by landing three or more of the golden bonus symbols anywhere in view; you’ll now get three free spins on a set of reels which also includes the number of scatters which triggered this feature. Minor Jackpot – fill one row with bonus symbols. Major Jackpot – fill two rows with bonus symbols. Mega Jackpot – fill all three rows with bonus symbols. Divine Fortune is certainly one of the better Greek-themed slots out there and it’s designed to the usual high standards of Net Entertainment; the bonus features are well though out and there’s an RTP of 96.59%. Diving fortune is another make by Netent. This is a progressive jackpot slot which means it’s jackpot build up is based on Casino specific and not worldwide where every one’s penny count towards the jackpot. 5 reels and 25 payline is enough from this slot to make you a very happy player and to win big. Now I have to admit, since it has progressive jackpot, it means the base game can be extremely low on payout during the base game. The highest paying symbol pays 600 coins, which is a bit low. With the features involved, you will begin to understand why the payable it so low. The game features a wild symbol as well as wild on wild. When wild symbols lands on the reels, a re-spin/s takes place. If another wild lands on top of the existing wild, the whole reel becomes wild. This slot has both a bonus round feature where you can win the minor, major or mega jackpot. In order to access the jackpot round, you need to collect three coins during the same spin. This you would find easy to achieve once you have a few wilds on the reels, where you collect the coins during the re-spins, which means it’s basically the same spin. The free spins feature can be entered when you land three or more scatter symbols on the reels. You will be awarded with 5 free spins for 3 scatters and more free spins for 4 or 5 scatters During free spins all wilds expand to cover the entire reel and re-spins take place during the free spins feature. If the game is hot, you will get wilds on wilds all the time, making huge mega wins during the re-spins. I must admit, triggering free spins can take forever at times. I overall enjoy this slot, but not something that I would play every day as you need a good budget for this slot as you never know when this slot is in the mood to pay. The most I won was x78 during free spins and once won the major jackpot. Divine Fortune is one of Netents’ latest game releases as it came out only earlier in January. This is a game I was quite skeptical about at first- I tried it, didn’t get any winnings and thought that the game wasn’t that good. However, I have spent some quality time with it and my thoughts have changed. The game itself is inspired by the ancient Greek theme as you can see mythological creatures and just the overall appearance gives me feeling of Ancient Greece, I think it is because of the sculptures on both sides of the slot. Visually this game has letter symbols, creatures like lion, eagle, goddess and torus. 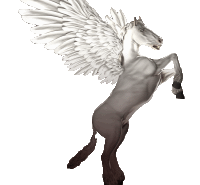 And of course most important one- horse with wings that is a wild symbol. I truly think that design wise Netent has done a marvelous job and the game looks very sophisticated. This game has 5 reels and and 20 pay lines. From bonus point of view, I think this game is quite exciting. Many players will play this game because of this jackpot game and the fact that it is quite easy to trigger it- you need to get 3 coin symbols to play it. In this bonus game you will get re spins and if new coins land, you get additional re spins. From this bonus you can win one of the 3 jackpots and even I find it very exciting. The second bonus round is free spins round and it is quite special- for 3 or more scatters you get from 5 up to 12 free spins, depending on the scatter amount. They don’t have any multiplier, however, whenever a wild symbol lands, it will expand through the reel. I have had this feature many times and although I haven’t had a 100x bet win, I definitely see winning potential there. But truth be told, my favorite feature is the wild re spins- just because they come up very often and with them it is easier to trigger the bonuses too. For example, I find it much easier to collect the coins for the jackpot bonus with the re spins, and when I have had big wins on base game, all of the times it has been because of the wild symbol re spins. The best part is that if you get a wild symbol on the existing wild, it will expand on the reel and give more re spins. Overall I think this is a good release and I think it is definitely worth trying. I also think that this game can be a good option for wagering as it gives frequent winnings with it’s many bonus features and the wild re spins. All in all this is an exciting game with good winning potential, at least in my opinion. Divine Fortune is one of the newest video slot powered by NetEnt software company. This video slot theme based on Greek mythology. Well I don’t like so much this kind of themed games, but if the payouts are good I am sure I will love it later after some big win. Hehe. Almost forgot to write that this game is progressive video slot – here the main prize is Jackpot. Beside jackpots it has also some other ˝features˝. Falling wild re-spins is one of the feature; after a wild symbol appears on the reels and all bet wins are awarded, each wild symbol shift down one position on the reels and a falling wild respin is awarded. This could appear during base game and also into free spins. The good thing here is that both jackpot game and free spins can be won during this feature. Wild on wild feature is another feature which could appear in main game and also during free spins. When this feature is activated, the affected wild symbol will expand to cover the entire reel. Each wild symbol shift down one position on the reels and a falling wilds respins is awarded with 2 falling wilds on the reel. You can also get free spins – up to 12 free spins for all five scatter symbols.Jackpot bonus game is set good, it is interesting. One row of bonus symbols mean minor jackpot, two rows major jackpot and all three rows mega jackpot. I tried to play this game a couple of times, but it is not so interesting for me. The only reason is because it has quite a lot of empty, dead spins. On it I lost my balance pretty fast without any really big win. Until now I didn’t triggered any free spins, but I had entered bonus game a couple of times. And there was no jackpot for me. Hehe. Otherwise main game is quite boring even if there are wilds features -only once I had bigger win around x30 bet. I don’t think I will play it again in the future – minor and major jackpot are not so good at all – those two have really small prizes while mega jackpot is really mega. NetEnt very latest release is another game based on mythical legends and divinity, aptly named ‘Divine Fortune’. Strangely enough, I would have expected to see more of the mythical gods or queens icons being used in the game, instead of having the Bull and the Lion symbols, and with only Medusa and the flying horse being used. Hmm, I’m wondering what’s the divine connection here between the mutant animals and the 2 immortals. Only NetEnt guys know I guess. Divine Fortune plays with the usual 20 paylines with 5-reels and 3-rows, but other that than, the features in the game are not as per usual offerings. It’s a combination of various interesting seldom-used features, even omitting the usual payouts for the Wild, Scatter and Bonus symbols, for better or for worse, so how this new game would perform over time has yet to be seen. With ‘Motorhead’ game, for example, I could see that it wasn’t going to be a good performer, and I wasn’t wrong, but this Divine Fortune game could go either way. Just have to wait and see. The Horse is the Wild symbol in the game. It doesn’t pay anything for itself, it doesn’t double any wins with it, but plays like a Trailing Wild, shifting down one position on the reel with each spin and awarding one Falling Wilds Respin, but it expands into a full Wild Reel during the free spins, followed by the Trailing Wild feature and Respins. Hmm, very interesting indeed, which could provide several consecutive wins in one go. ‘Free Spins’ is the Scatter symbol, also a non-paying symbol, but getting 3, 4 or 5 of these symbols trigger 5, 8 or 12 free spins with the Expanding Wilds and Trailing Wilds feature. No indication is shown in the paytable, but I think the Free Spins game can be retriggered. The Gold Coin is the Jackpot Bonus symbol, also a non-paying symbol, making it 3 dumb symbols in this one game. Sheesh! Whenever a Wild symbol is on the reels, any Bonus symbol or symbols would be collected into the Collection Vase on the right hand side of the play area. Getting 3 or more of these Bonus symbols trigger the Jackpot Bonus game, but any no-Wild-symbol spin would reset the collection back to zero! Very tricky this, but exciting! Each Bonus symbol collected has a value of between 10x to 200x the total bet amount, and the collected Bonus symbols would then be transferred onto the Jackpot Bonus reels in random positions, with the symbol values awarded. The Jackpot Bonus game plays with 3 initial free spins. The collected Bonus symbols are placed randomly on the reels before the first free spin. 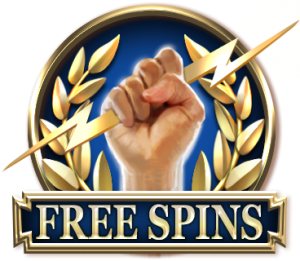 During each free spin, any new appearing Bonus symbol resets the counter back to 3 free spins. Getting 1 full row of Bonus symbols pay the Minor Jackpot Prize, 2 full rows pay the Major Jackpot Prize, and getting 3 full rows pay the Mega Jackpot Prize, which is currently over $10,000 but is still very new. Bigger bet sizes have better chances of hitting the Mega Jackpot. So, if you can afford it, then go for it and hope for the best! As for the other symbols in the game, Medusa pays a very low 600x, the Lion pays 400x, the Bull pays 300x, the Eagle pays 200x, and the rest pay from 80x to 60x, all per line bet for getting 5 of each kind. Sadly to say, the paytable is a very low one, simply due to the non-paying Wild, Scatter and Bonus symbols, together with the very low values of the other symbols. The only way to get nice good wins from this Divine Fortune game is to get multiple consecutive wins during the Falling Wilds Respins, or hit the Major or Mega Jackpot Prize. The Minor Jackpot prize would be too small to make a nice good win. I’ve had 4 separate short plays on Divine Fortune so far, all from free spins awarded to me, but I haven’t yet managed to make a deposit to give the game a good long play. However, from what I can see so far, the game plays interestingly, the payouts can be good, and has the potential to be a hit game. My best win came from one of the Free Spins games, paying me a nice 196x the total bet amount, but I couldn’t complete the accompanying wagering requirements in the end. Nonetheless, Divine Fortune has shown good potentials for me to keep on trying in future.